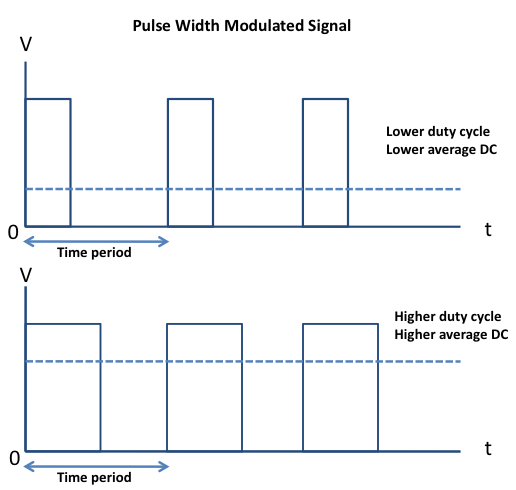 Pulse width modulation (PWM) is a technique of controlling the amount of power delivered to an electronic load using an on-off digital signal. The key idea behind this technique is that the average DC value of the digital signal, and hence the power delivered to the load, can be varied by varying the duty cycle of the signal. 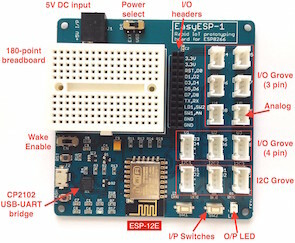 This method is commonly used for controlling speeds of DC motors and brightness of lamps. The switching mode power supplies are also based on the PWM technique. 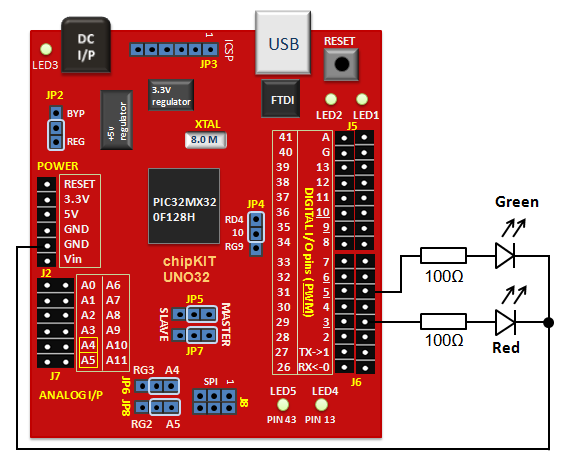 In this tutorial, we will discuss about the PWM pins of the chipKIT Uno32 board and illustrate the concept by controlling the brightness of two external LEDs. Pulse width modulation (PWM) is a technique of controlling the amount of power delivered to an electronic load using an on-off digital signal. The fraction of the period for which the signal is on is known as the duty cycle. The average DC value of the signal can be varied by varying the duty cycle. The duty cycle can be anywhere between 0 (signal is always off) to 1 (signal is constantly on). Suppose, if the signal has +5 V while it is on and 0 V during off condition, then by changing the duty cycle of the signal, any voltage between 0-5 V can be simulated. 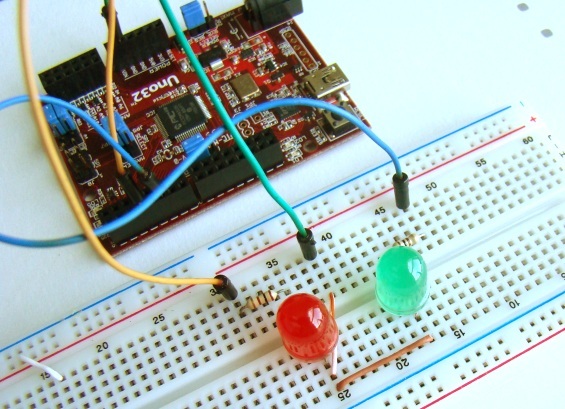 This method is commonly used for controlling speeds of DC motors and brightness of lamps. 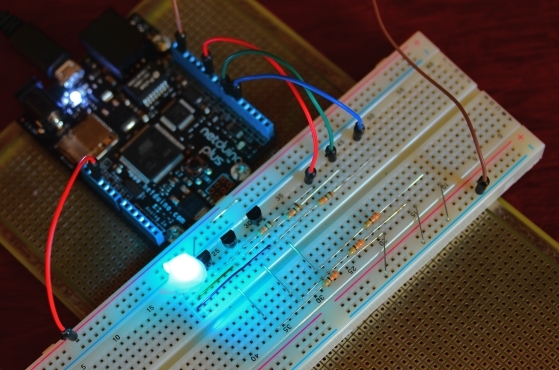 This lab session will talk about how to generate a PWM signal using the PIC16F628A microcontroller and control the brightness of an LED with it. PIC16F628A has a built-in hardware, called Capture/Compare/PWM (CCP) module, to generate a PWM signal.